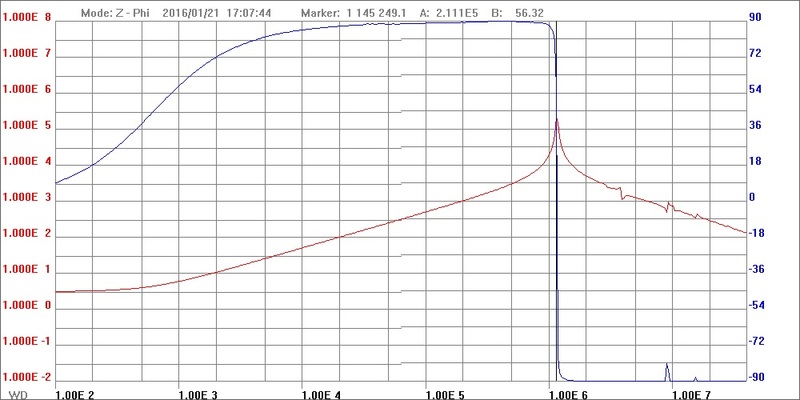 Impedance graph of film capacitor of 220 nF. 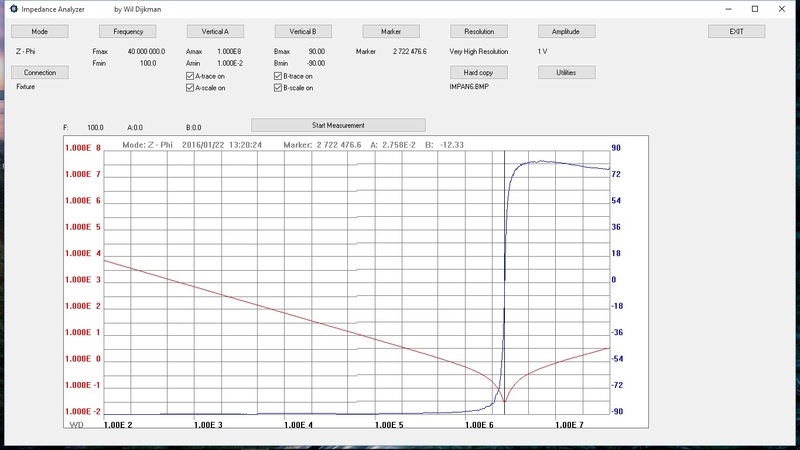 Minimum impedance of 24 mΩ at 5.096 MHz. 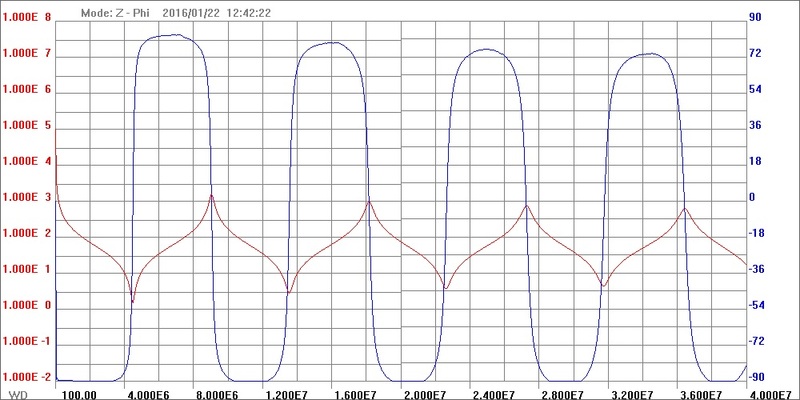 Impedance graph of coil of 790 μH. 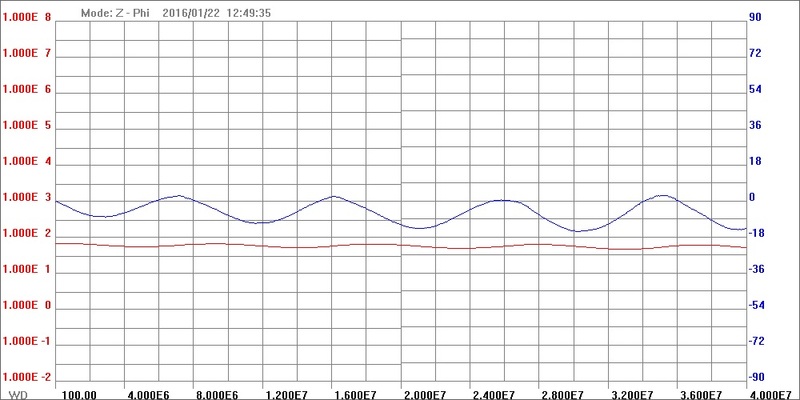 Maximum impedance of 211 kΩ at 1.145 MHz. 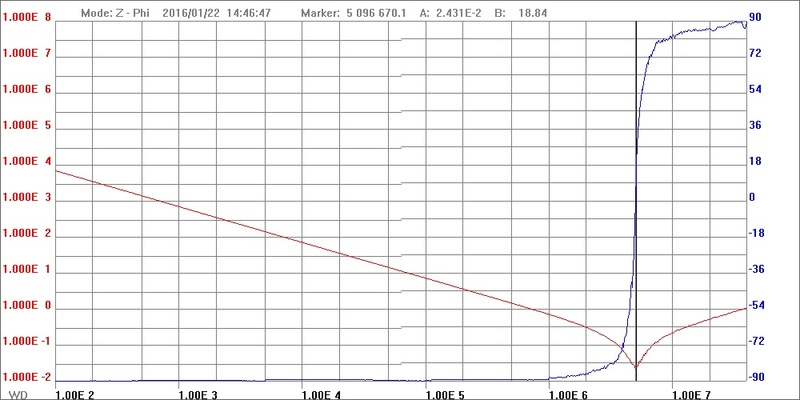 Graph of piece of coax cable, 75 Ω, length approximately 10.8 m.
Graph of same cable, loaded with 68 Ω. Showing graph with the controls on the screen.